Our Sports Lab Double Bay practice is conveniently located on New South Head Rd on the corner of Bay St. There is parking on New South Head Rd, metered parking on Bay St, and we are also just a short walk from Edgecliff train station. 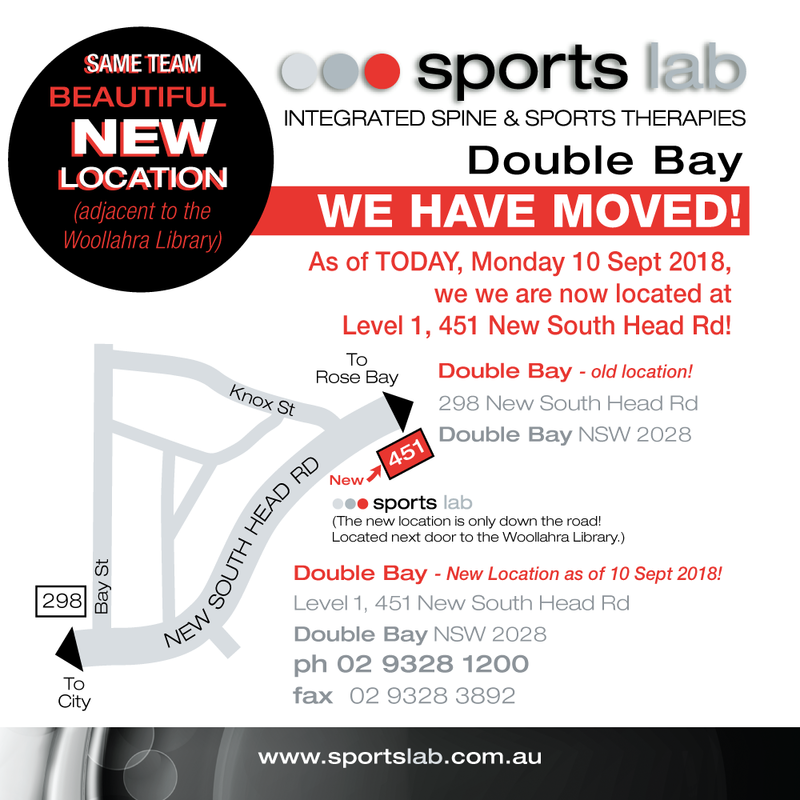 Sports Lab Double Bay has relocated!! We are now located in a beautiful new location…just up the road, adjacent to the Woollahra Library! Please visit our social media sites for useful information and resources.